It is important that aging adults are able to overcome any barriers affecting their ability to participate in church and church activities. The church and its parishioners can help senior members overcome these obstacles. First, however, they need to recognize what obstacles aging members may be facing, and implement strategies to ease their burdens or boost their involvement. 1. One of the obstacles keeping aging adults from participating in church is the feeling of isolation. Older adults generally have more time to use as they choose, but their children have jobs and get caught up in tending to day-to-day needs. Encouraging older congregation members to participate in volunteer work with the church can help to combat isolation while giving them a sense of purpose. There are many tasks seniors can help with including planning and preparing functions, making phone calls, brainstorming ideas, and helping with newsletters and other bulletins. 2. There are some days when seniors may not be able to make it to worship services due to illness, pain, lack of energy, or overall health. Technology can help keep these members connected to the church. Free conference calls can eliminate this barrier for those who are unable to attend church services. The church may also think about recording services and emailing the recordings to those who were not able to attend. Another option is video calling, which really gives the homebound individual a feeling of being at the church service. 3. Making changes for people who have a hard time walking can eliminate some obstacles to their participation. One idea is to modify sidewalk curbs to accommodate a ramp. Stairs can be an obstacle for those in wheelchairs, who use walkers, or have a difficult time with ambulation. Elevators and ramps are much more practical for these members of your congregation. Also being open to offering an ASL interpreter, providing large print materials, and other accessibility options can eliminate barriers not just for senior congregation members but for any member with a disability. 4. A lack of activities for seniors can sometimes discourage older adults from getting involved. It may feel as though the church’s primary focus is on younger members. Activities like lunches and get-togethers are important for the aging members to feel included and valued. To overcome this obstacle, simply ask senior members what activities they would enjoy. Once ideas are agreed upon, take action. 5. Some large churches have huge or multiple parking lots which can be a challenge for some seniors. Volunteer parishioners could drive a golf cart or a shuttle to transport members from the parking lot to the church door. Valet parking is another idea to offer. 6. Inability to perform the activities of daily living (ADLs) is another obstacle keeping your senior members from attending church. To remove this barrier, ask volunteer parishioners to drive members who don’t have access to transportation to services and activities. If needed, these volunteers could help senior members with basic daily tasks such as meal preparation or getting to medical appointments. 7. 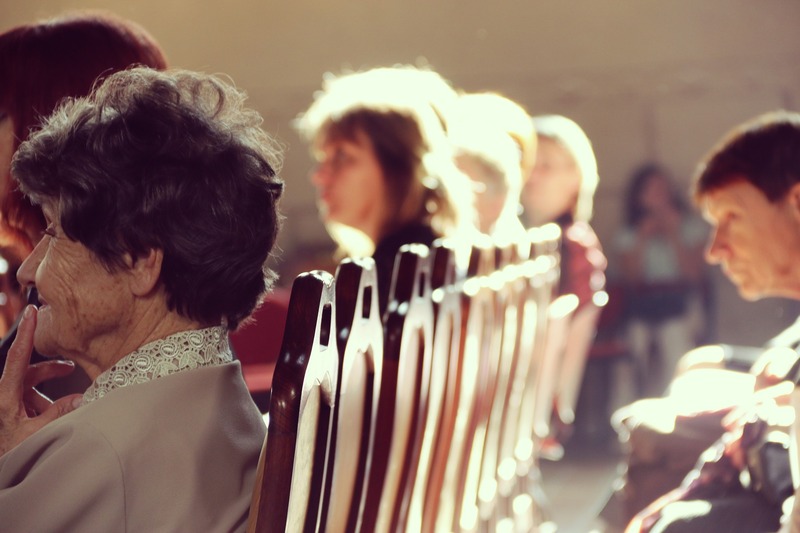 A lack of strong relationships and social circles that are friendly to older and disabled parishioners can impede their desire to actively participate in church activities. If a lack of these relationships and support systems is identified, find a way to provide them for these individuals. Volunteer parishioners could make regularly scheduled visits to senior members to talk socially and about the church, encouraging them to attend services and activities. 8. Another obstacle is a lack of senior musical groups. There are often musical groups for all ages, but some older members may prefer to practice and perform music amongst their peers. Adding at least one senior musical group is a good way to encourage engagement. 10. Online learning courses may also boost engagement among aging adults. More and more seniors are learning how to use the internet and appreciate how convenient it can be. Examples of such courses and online learning centers include Spirituality & Practice, My Jewish Learning, and STEP Online Theology at the University of Notre Dame. These online sources can be great supplements to church services and study groups. The goal for many churches is to create an intergenerational environment, which brings together the young and old in sharing their common faith. Each generation can learn from those who are older or younger. Everyone has something to share. This is why it is important to remove obstacles that will keep aging adults away from worship services and activities. Marie Villeza has always had a close relationship with her father. As he became older, Marie wanted to return the favor and ensure that her father could continue to learn and stay current with everything in the world. That’s how ElderImpact.org started. Marie created this site in hopes of keeping seniors, like her father, in touch with modern living through helpful, informative resources. When Marie isn’t hard at work, she likes spending time with her family, reading, and gardening.